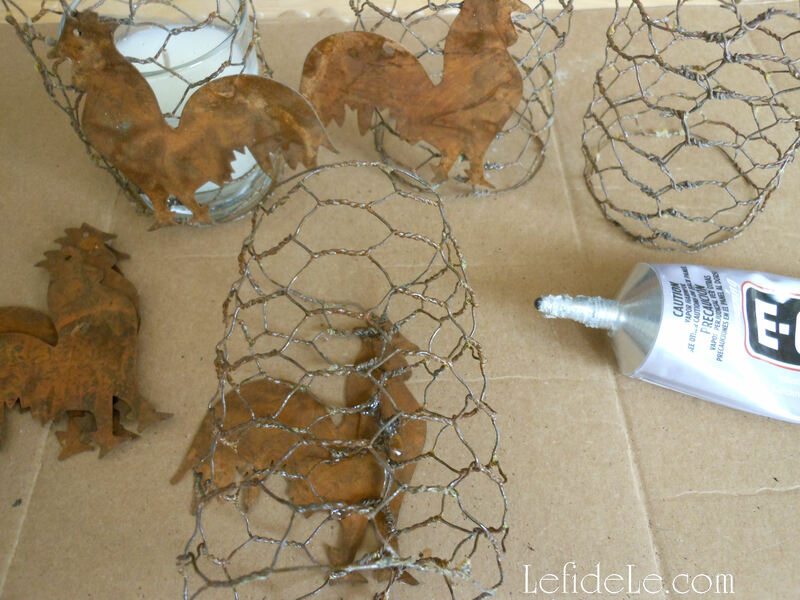 These votive holders were made to complement my Last Minute Cocorico Rooster Theme Dinner Party Décor Ideas, but you can easily craft them with plier/cutters and glue. 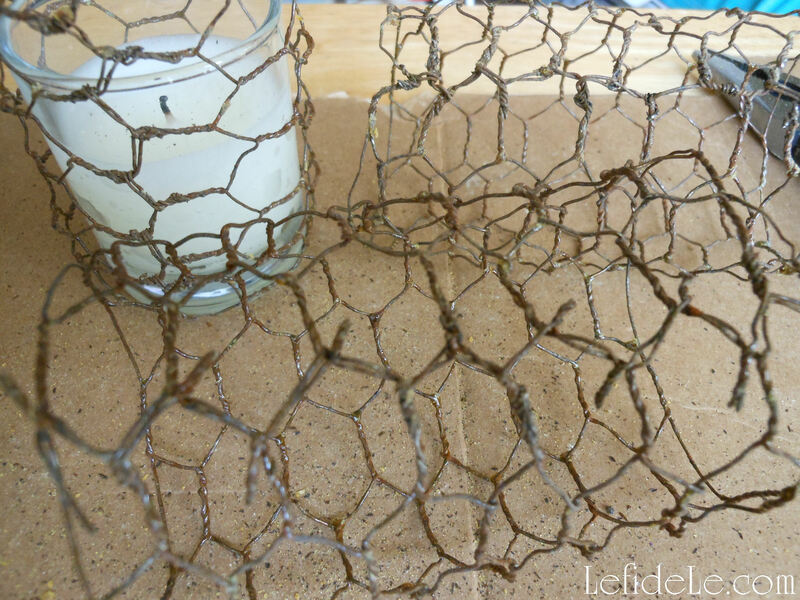 The base is made of pre-rusted chicken wire “ribbon” (which may be substituted with chicken wire from the hardware store). 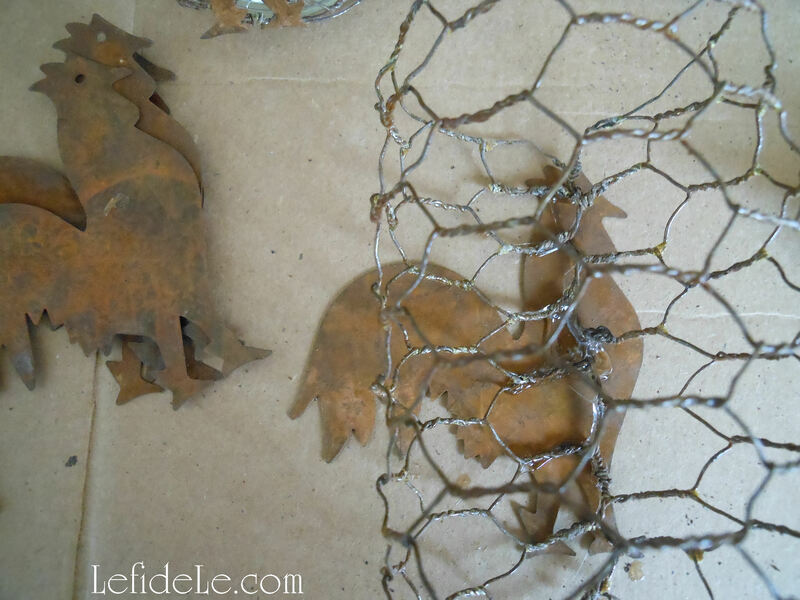 Atop that are rusted rooster shapes (which are available online and at local craft stores… or made from scratch if you’re feeling super crafty). 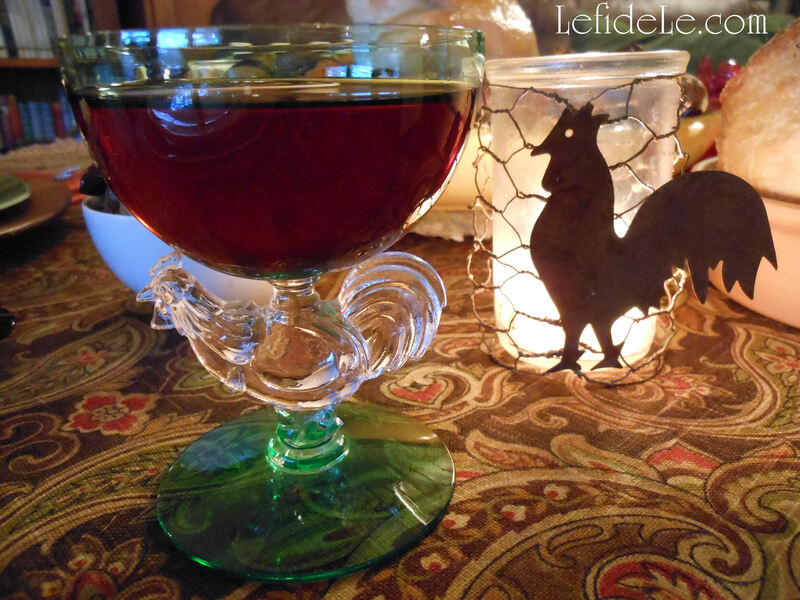 They can be lit by candle filled glass votives or LED tea-lights. It’s actually a very easy DIY project that just takes a little patience and elbow grease. Once made, they are lovely elements that can be pulled out anytime you need last minute dinner party décor to complement a simple chicken dinner. The next step is to twist the ends together, just as you would begin tying a shoelace, with one end over the other. Begin at one corner and continue the rest of the way, closing the cylinder like a zipper. (This was the part that took patience, so I “multi-tasked” by watching a movie while I twisted.) Pinch these joined ends together with pliers to completely tighten them. I found many dozens of reasonably priced pre-rusted shapes online. There is a shape to suit any theme. Also, feel free to cut your own out of thin metal. I’ve cut butterflies from various types of thin sheet metal and also up-cycled shapes from aluminum cans. These can be painted to mimic rust. In the future, I’ll show you how to make “metal” shapes from paper (these of course would need to be used with LEDs). 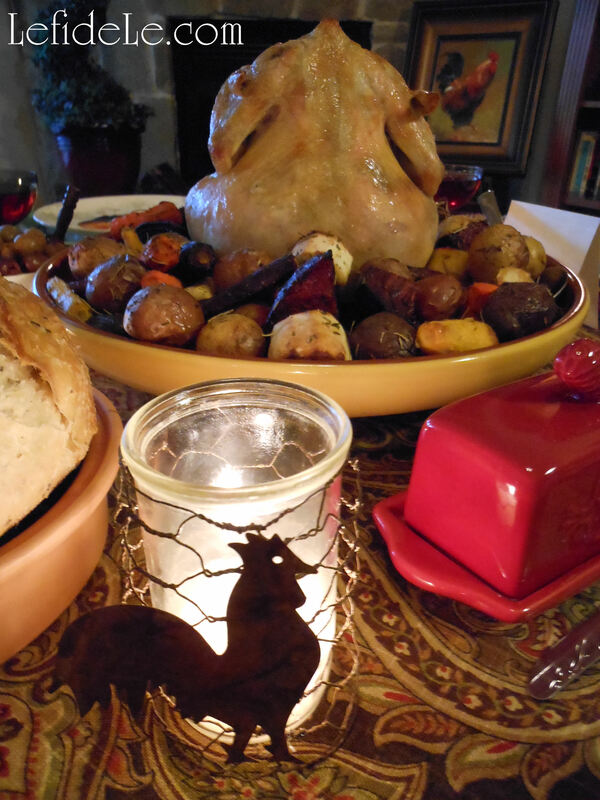 If you need a rooster shape for a template, just cut it out of the free invitation PDF from my Cocorico dinner party. 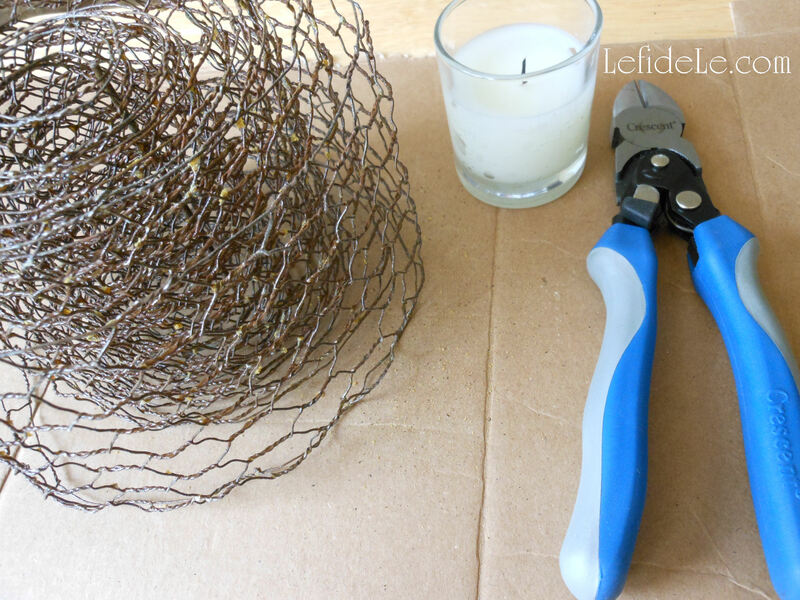 Glue the joined section of a wire cylinder to the underside of your rooster. Let this sit face down overnight. I used E6000 glue, because I wanted to ensure that it stuck together despite the rust. This stuff has glued down everything I have ever tried it on, so it’s a go-to product where other glues have failed. It does have fumes though, so use it in a well-ventilated space. 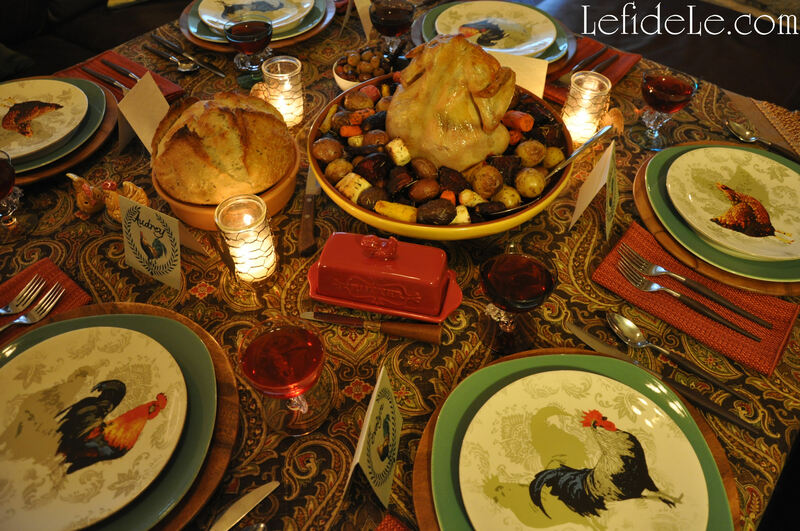 Slide candles into your newly handcrafted wire cages, and set on your table. Then light to delight!